The key to surviving such an event is a business continuity strategy, a set of policies and procedures for reacting to and recovering from an IT-disabling disaster, and the main component of a business continuity strategy is to create a disaster recovery plan (DRP). In this article, DevX and Cole Emerson, President of Cole Emerson & Associates, Inc., a business-continuity consulting firm, and chairman of the board of DRI International, administrators of a global certification program for business continuity/disaster recovery planners, walk through the basics of creating an effective DRP. The first step in drafting a disaster recovery plan is conducting a thorough risk analysis of your computer systems. List all the possible risks that threaten system up time and evaluate how imminent they are in your particular IT shop. Anything that can cause a system outage is a threat, from relatively common man made threats like virus attacks and accidental data deletions to more rare natural threats like floods and fires. Determine which of your threats are the most likely to occur and prioritize them using a simple system: rank each threat in two important categories, probability and impact. In each category, rate the risks as low, medium, or high. For example, a small Internet company (less than 50 employees) located in California could rate an earthquake threat as medium probability and high impact, while the threat of utility failure due to a power outage could rate high probability and high impact. So in this company’s risk analysis, a power outage would be a higher risk than an earthquake and would therefore be a higher priority when you create a disaster recovery plan. Ultimately, the business operations unit decides which threats the business can tolerate. According to Emerson, when developing a DRP, IT departments are “shooting in the dark without those business indications.” Both IT and the business units must agree on which data and applications are most critical to the business and need to be recovered most quickly in a disaster. The management of our small Internet company, for example, may decide they can supply the budget only for the emergency generators and the company will have to assume the risk of an earthquake. The feedback from the business units will begin to shape your DRP procedures. If, for example, they determine that the company must be up within 48 hours of an incident to stay viable, then you can calculate the amount of time it would take to execute the recovery plan and have the business back up in that time frame. Emerson suggests that you have the recovery systems tested, configured, and retested 24 hours prior to launching them. He says the set up takes anywhere from 40 hours to days to complete. 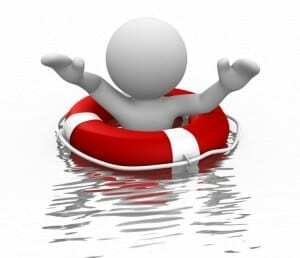 The recovery procedure should be written in a detailed plan or “script.” Establish a Recovery Team from among the IT staff and assign specific recovery duties to each member. The manner in which your team conducts its recovery probably will be no different than its regular production procedures: the chain of command likely won’t change and neither will the aspects of the network for which each member is responsible. As your business environment changes, so should your DRP. Reexamine the plan every year on a high level: Do you still need every part of the plan? Do you need to add to it? Will the budget need to be adjusted to accommodate changes to the plan? As applications, hardware, and software are added to your network, they must be brought into the plan. New employees must be trained on recovery procedures. New threats to business seem to pop up every week and a sound DRP takes all of them into account. I hope this article will help you prepare to create a disaster recovery plan.